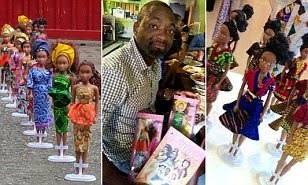 A man who couldn't find a black doll in the shops as a gift for his niece decided to take matters into his own hands.In 2007, Taofick Okoya, 43, created his own doll that Nigerian girls could identify with by recreating their skin colour and style - and it is now so successful that it is outselling Barbie. The doll, which is called Queens of Africa, comes with traditional outfits and accessories and costs around £4.50. 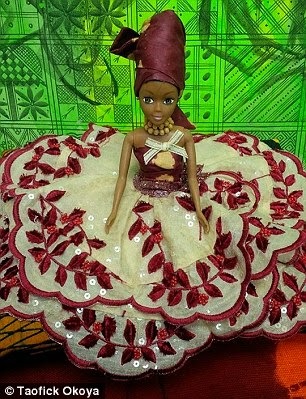 The dolls' look is modelled on three of the country's biggest tribes and aims to promote strong feminine ideals, like love, peace and endurance.The doll is now so popular that, according to Reuters, it is selling up to 9,000 units a month - a staggering 15 per cent of the country's toy market. 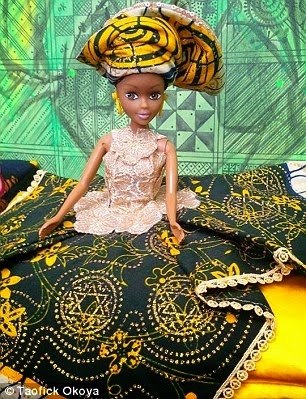 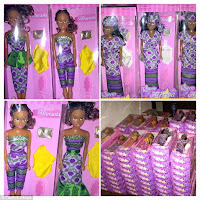 But the Queens of Africa aren't just selling in their home country.Thanks to the doll's online presence, customers are coming from as far as America, Brazil and Europe. Speaking to ELLE about his dolls out-selling Barbie in his native Nigeria, Okoya said: 'My mission is to make the Queens of Africa a symbol of hope, trust, and confidence by promoting African history, culture, and fashion. 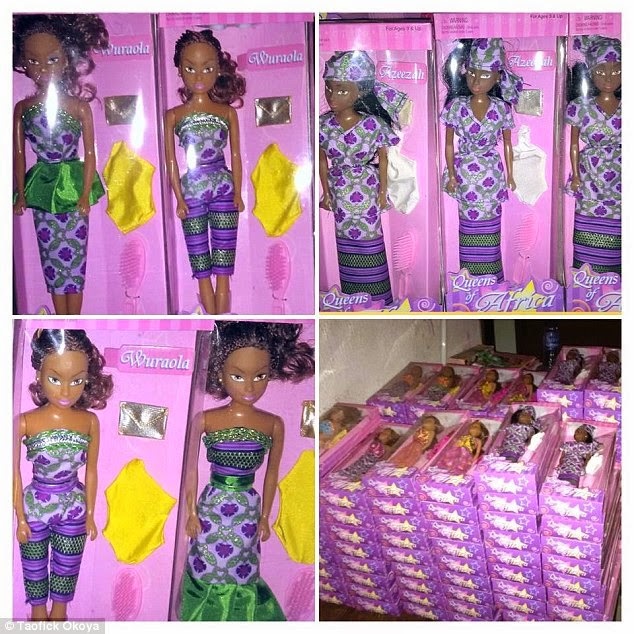 'One person that Okoya really hopes the dolls will have a positive impact on is his daughter, who, he explains, once wished she was white.